While the new U.S.-Canada-Mexico trade deal brought some signs of relief to American farmers, most of the heartland economy is still suffering from the blow of Donald Trump’s trade war with China. Take for instance April Hemmes, who grows soybeans and corn on 1,000 acres in Iowa. She locked in prices for half of her soy crop between March and June because of the “rumblings of tariffs.” Then, China’s retaliatory duties hit in July. Now, as harvesting gets underway, the cash offers she’s seeing have dropped below her cost of production. One of the biggest repercussions of China’s 25 percent duties against American soy shipments is the divergence of price trends between the U.S. and rival exporters in South America. Demand from China, which is looking for soybeans from everywhere but the U.S., has already driven up premiums for shipments from Brazil. Now, as those exportable supplies start to run out, it’s Argentina’s turn in the spotlight. In the meantime, American prices tumbled, and in many areas, cash prices have fallen below where futures are trading. Bigly win for Donald - while the farmers cry. Soybeans only hit $11 once in the last 4 years. They are at $8.40 today, plus the $1.65 they get from Trump puts them over $11 per bushel....now they are winning! Yields are up so much in recent years, I have no sympathy. @signed 1776 III what goes around comes around. If farmers are getting a welfare check (compliments of the average tax payer) then why shouldn't auto workers/manufacturers get the same? Tariffs are tools in a trade war. 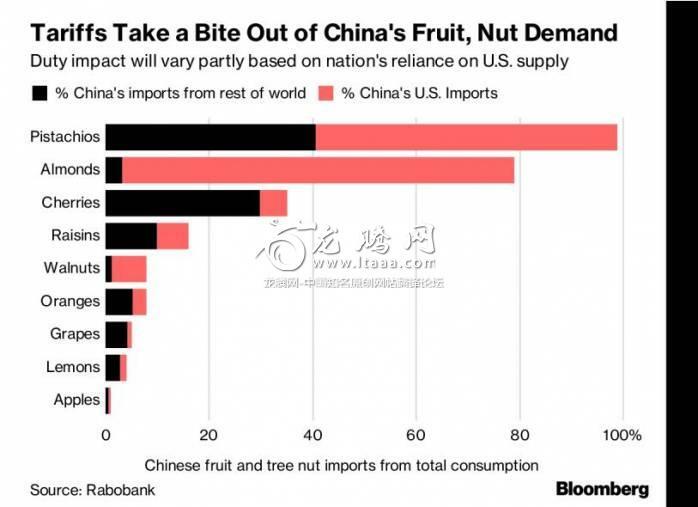 Based on past tariff impositions, China has declared war against US for a long time already. Just because China has total control over its media outlets not to publish any negative news related to this trade war does not mean that its market is not feeling the negative impacts. The reason why we all focus on the negative impacts to US market is because most information is freely disseminated for all to add our 2 cents comments. The sad truth is that most of these farmers would still vote for Trump again if given the chance. I say cut their aid and let them starve. Give them a taste of their own medicine. Oh, you can't pay your bills, then get a job. Stop bottom feeding on the tax payers. There are people working 2 jobs in the cities that can barely make ends meet.